It’s time for another Grow Your Own Roundup! Thanks to everyone who participated this time and shared what you cooked with the foods you have grown, hunted, or foraged. We had seven posts from Italy, Australia, Malaysia, and the United States, and we cooked with our homegrown tomatoes, peppers, curry leaf, lettuce, tatsoi, chives, raspberries, kale, mint, parsley, and lemon thyme. If you are new to Grow Your Own, please visit the Grow Your Own page to learn more about the event. Our host for this next round is Amy of Playing House, so stay tuned for more information from Amy on how to submit your posts. The deadline is July 30. I’m booking hosts for the coming months, so please send me an email if you are interested (must have participated at least once before hosting). And be sure to visit the Grow Your Own Flickr photo group to see all the things we’ve been growing and eating. 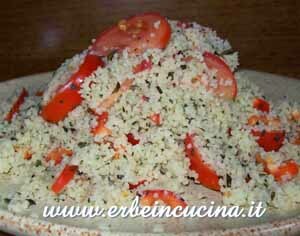 Homegrown tomato and jalapeno with fresh basil and couscous. 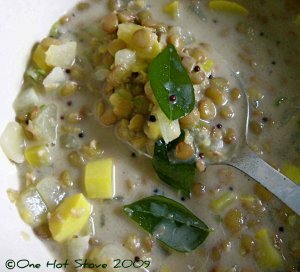 Homegrown curry leaf with lentils, coconut milk, cucumber, squash, and a green chili. 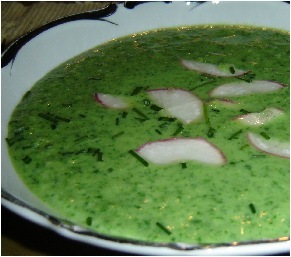 Homegrown lettuce, tatsoi, and chives with potato, onion, buttermilk, and stock. 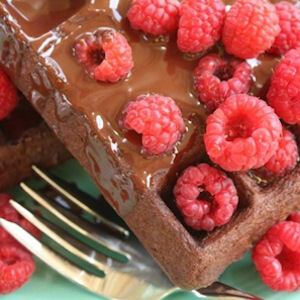 Homegrown raspberries with chocolate gluten-free waffles. 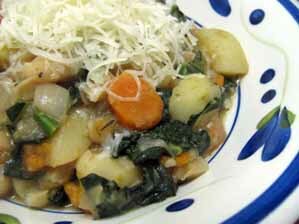 Homegrown kale with potatoes, cannellini beans, carrots, vegetable stock, and Parmesan cheese. 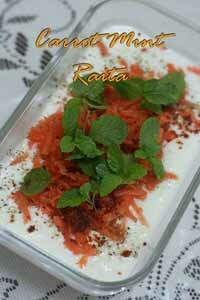 Homegrown mint with carrot and yogurt. 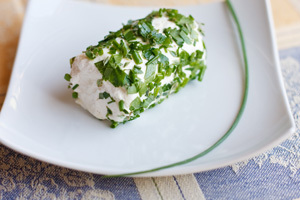 Homegrown parsley, chives, and lemon thyme with goat cheese. Thanks for your super hostess job. It looks like a delicious selection from all over the world. this is a great roundup! everything looks so yummy! A wonderful roundup! Great recipes! What a beautiful round-up…I can’t get enough of the beautiful colors of the home-grown produce. Thank you very much for hosting this event!